So great and so fun. 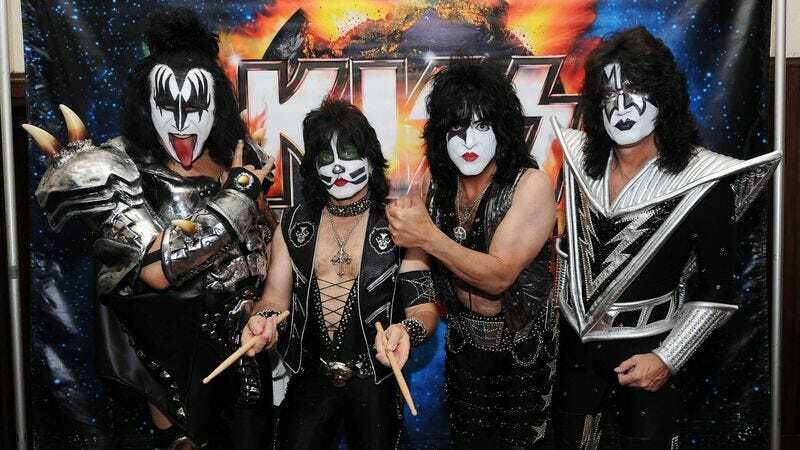 Hangin’ with your buds is the best, and these pictures of KISS prove it. Here’s another great thing about kicking back with your pals: You never feel self-conscious around them, because you know they’ll always support you. So go ahead. Be your silliest, craziest, weirdest self. Your friends will love you no matter what! Travel can be boring. But when your buddies are along for the ride, it’s a blast. This pic proves that friends really do make everything better. When you’re feeling down, there’s no better cure than getting together with your best pals and goofin’ off. Sure, friends can get to teasing sometimes. But honestly? That’s part of the fun of having friends: knowing that the whole reason you’re comfortable teasing each other is that you’re so close! Another cool part of hanging out with good friends is that you don’t need to be “on” all the time. You can just enjoy each other’s company in silence and still have a ball.